Touch was commissioned by Columbia Records for the introduction of their first 'quad' product. The quad playback system was discontinued and Touch was re-released as a stereo record. It became an important part of the electronic music literature. 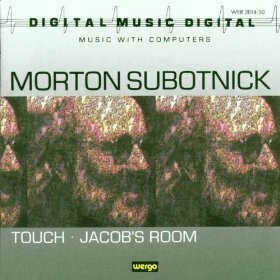 Jacob's Room is the original concert version of his chamber opera by the same name. It is still performed widely throughout the world and features the voice of Joan La Barbara.